Christine has been serving as PWLT's President for two terms and is excited for the opportunity to continue to serve as president and serve this wonderful organization. As a board member for more than three years, she has brought new ideas and a collaborative mindset to the board. Christine's vision as president is to work with the Board of Directors to enhance community involvement and increase fundraising efforts and sponsorship with local community ties. All of this with the goal to continue to bring quality theater to Prince William County. ​Mrs. Mastrangelo has worked with Prince William Little Theatre in a variety of artistic capacities since 2010 has also served Board Member at Large. During the past eight years she has worked on 8 PWLT shows, as performer, assistant director, choreographer, props mistress and backstage crew. Mrs. Mastrangelo is employed as an Area Business Operations Manager with Johnson Controls, for the EPA/NJ area, where she has worked for 18 years. Mrs. Mastrangelo is a member of the Society for Human Resource Management and is currently pursuing her a degree in Human Resource Management from Ashworth College. 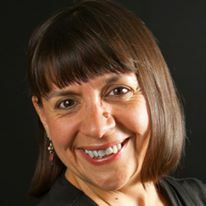 Before moving to Northern Virginia, Mrs. Mastrangelo was active in community theater in her hometown of Bethlehem, PA. She has held her many roles in both cast and crew over a fifteen year period, including choreographer. She also worked for 6 years as a dance and voice teacher for the Pennsylvania Performing Arts Center and is a former member of International Teacher of Dance, Inc. Since the age of 4, she has been associated with dancing and/or musical productions.